Errors & Omissions Insurance : Cheap Rates & Requirements for Ontario. We Provide Liability Insurance to Professionals across Ontario, Canada. Errors and Omissions Insurance (E&O Insurance) also referred as professional liability insurance, and professional indemnity insurance are insurance coverages that are required by professionals to cover themselves from future liability. We work with insurance companies that bind E&O Liability Insurance coverages across Ontario, Canada for over 100 professions including IT professionals, accountants, consultants, and many more for over 35 years! What is errors and omissions insurance? Why do I need it? & What will it cost? E&O insurance is crafted to protect professionals from their liability exposures at work. Think of this insurance as your shield in the event you get sued by a client for negligence, errors, failure to deliver up to standard, etc. When your clients encounter financial losses or any sort damages to their business or personal life as a result of your services, advice, products, etc.. they may come after you with a law suit because they need to recover from the damages they have incurred. If you run a business and want it to turn into a dream autopilot project, you need to covered by an E&O policy along with a comprehensive business insurance package that is crafted by an experienced and specialized insurance broker. Usually limits start at $1 Million for E&O and CGL for most professions. If you would like an estimate for your own business, speak to one of our brokers or request a quote to receive some ballpark figures. You can reach us through your preference INSTANTLY. It is HIGHLY recommended that you always opt for legal defense coverage as lawyers show no mercy when it comes to retainers or invoices. It is common to see people trying to save a buck or two when it comes to buying insurance policies for their business. Think about it.. you went to broker ‘x’ instead of ‘y’ because ‘x’ offered you the same coverage amount of $1 Million $150 cheaper. What you did not know is that cheaper policy comes with heavy exclusions. By exclusions, we usually see clauses which DEFINITELY should not be excluded from the policy. You are paying your hard earned dollars for the future of your business. You need to understand that good comprehensive policies usually come with a fair premium. If you do not consider insurance an investment, give us a call, maybe we can change your mind. As you begin to search for insurance companies or brokers, you must know that it is pretty standard in the insurance industry to get quotes for your business for absolutely FREE. You should only be paying anything AFTER you have settled on a policy and want to purchase it. As per the cost, well that varies quite a bit. Think about an IT contractor vs paralegal. Who do you think will pay more? Well the answer is it depends. The cost of E&O depends on a few factors such as your profession, experience, gross revenues, your sub contractors, company employees, insurance company loss ratios, and a few other things. Home Inspections (Home Inspectors – From $500/year). Again, while performing these services, professionals expose themselves to a potential ‘financial’ liability in a form of a law suit. It is often mistaken that this insurance is only required by professionals if the person to whom the service is being provided to demands it, or law regulation require it. If YOU as a professional feel that a client may potentially sue you one day because of any form of loss that may occur to them because of your advice or services, then errors and omissions insurance is an absolute must for you. How do I get the cheapest rate possible? What amount of coverage is right for me and my business? As a professional, you must keep in mind that your services in any form, CAN cause your client financial damages. Lets Imagine an unfortunate circumstance. A client you serviced has now suffered financial loses that has caused them to lose their business. In this situation, the client feels that because of YOUR professional advice or services, they suffered damages and now decided to sue you. This is where your E&O coverage kicks in. You’re E & O policy protects you from any liability caused by negligence, error, failure to do something, or any legitimate reason that caused the loss to occur while practicing your profession. Having an E and O Insurance policy in place from a Canadian Errors & Omissions Insurance Company like LiabilityCover could be the fine line between the end to your business or career and prosperity. Do I still need E & O Insurance? 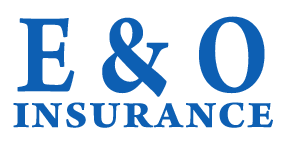 I have a Commercial General Liability Insurance policy..
Let’s make one thing VERY clear, CGL and E&O are 2 DIFFERENT types of policies. CGL provides protection to your business from any sort that of liabilities that arise as a result of physical damages such as slip and fall and damage from equipment. A CGL policy does notprovide any protection or coverage for any lawsuits or damages that arise as a result of your professional services. On the other hand, an E&O Policy does provide coverage to the professional in the event that they are being sued by a third party and damages have occurred as a direct result of their services. If you are a professional who provides any form of services such as consulting, recruiting, accounting, or architectural work, then you must be adequately insured by an E & O insurance policy. To read more about about this insurance, click here and checkout products what CFC Underwriting has to offer. We have predetermined rates for many professions such as Yoga instructors ($135/Year), Therapists ($150/Year), and Paralegals ($450/Year)! Saying that, if need be, we take a custom tailored approach towards businesses to make sure we insure and provide coverage for every risk exposure. In the event we require detailed information about your operations, we follow the procedure below to quote you. We send you a general application to know more about your business. We approach multiple insurance companies and request a quotation from each one. Once we receive some numbers, if there is room, we try to negotiate further to get a better price or coverage. We provide you the lowest quote. If you are satisfied with the numbers and the coverages, you instruct us to bind the policy by making the premium payment. We welcome all professionals who currently have liability coverage or have had no previous E&O insurance Ontario or professional liability insurance. Working with insurers and brokers that have been established for over 30 years has provided us the resources to accurately provide insurance for professionals within exceptional time along with a very competitive cost. Our brokers can insure all the way from large enterprises to independent professionals. Please Find professions that we commonly insure. If your profession is NOT listed, please provide us with your profession details below. We will try our best to find you a market that can insure you. Contact us for information regarding your Errors and Omissions Insurance Ontario, Malpractice Liability Insurance, and Professional Liability Insurance. How Long Does It Take To Get Quotes? Information provided on this website is intended to give you an overview of the subject matter therein, and may contain inaccuracies or typographical errors. None of these descriptions constitutes an insurance policy. A policy may be purchased by those who qualify, through www.liabilitycover.ca and a copy of the policy wording is provided there for your reference. All insurance policies contain terms, conditions, limitations, definitions and exclusions and should be reviewed to determine details of the coverage afforded. No warranty of any kind is made, either express or implied, with respect to the accuracy or completeness of the website information, or the reliability of any advice, opinion, statement or other information displayed or distributed through the site.